General arrangement drawing PDF. 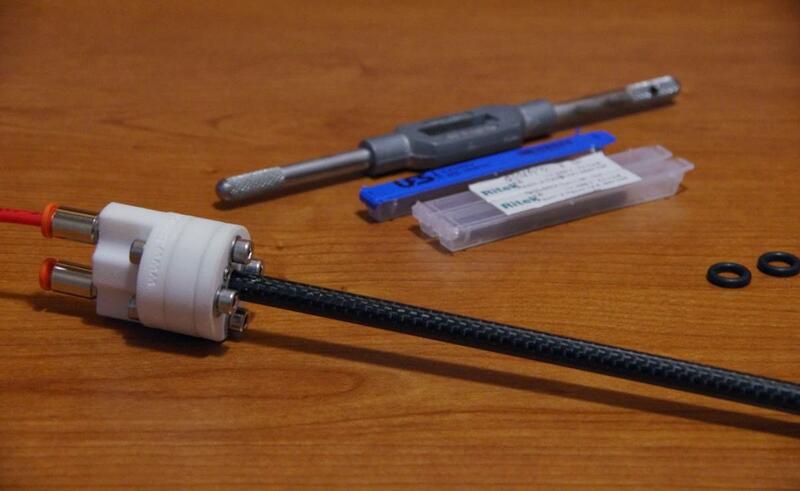 3D printed parts can be used instead of lathe machined parts. Drawings are freely available. 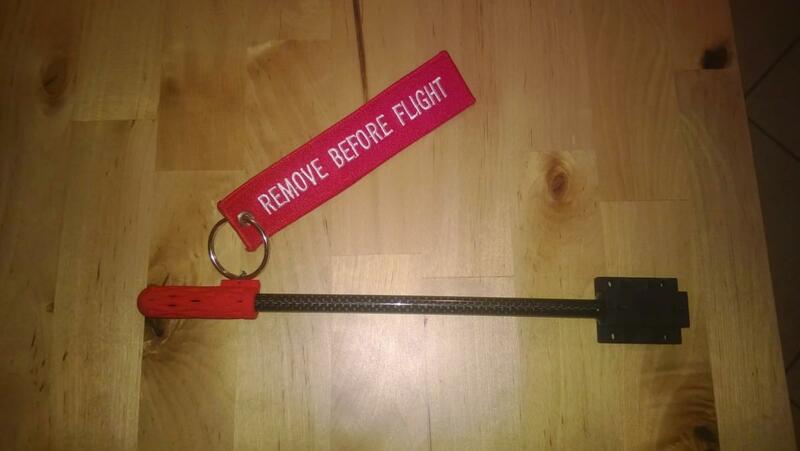 Check also flanged pitot section. 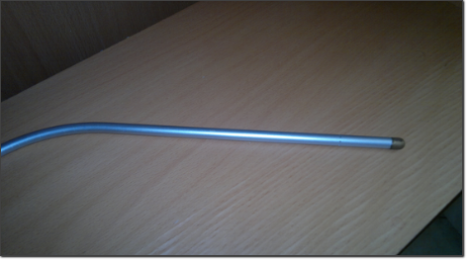 Widely used, the pitot tube is the backbone of air instrumentation. It’s the primary instrument for relative speed determination. Once the speed with respect to surrounding air is known it’s possible to estimate many different aerodynamic variables, for example, the actual lift value. 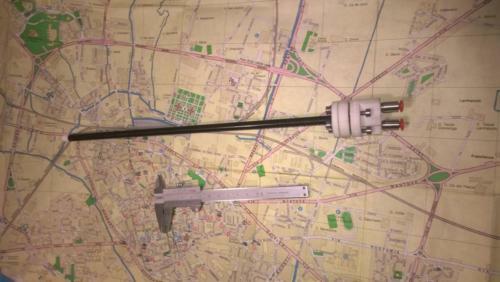 Look at Figure 1, here you find a classic general arrangement for a pitot probe mounted on a classical nose air boom. The pitot is assumed to be immersed in an incompressible flow. As long as we work with near to incompressible flow the Bernoulli equation yields[Par. 3.2], therefore in operating conditions Mach number should be well below supersonic transition region so  [Chapter 2 cover]. In this example probe, there are two pressure tap points, stand for static pressure point and stands for total pressure. Imagine the probe is traveling through the air at no angle of attack at a speed of . In this condition the total pressure port sense a pressure that is [ Eq 3.35] the sum of a dynamic term called impact pressure and the pressure at static tap point, whereas the flow is perpendicular to static pressure tap axis value is equal to the atmospheric pressure. This formula is the explicit relationship between relative speed and differential port pressure . The standard air conditions by ICAO is defined as follow, pressure of 101 325 Pa, temperature 288°K, and humidity 0%. The use of pitot differential pressure indication to calculate the speed with a fixed density yield to commonly defined Indicated Air Speed or IAS that is the standard speed reported by classical instruments and is not the real speed that aircraft have respect to the surrounding air. The great advantage of using IAS is that is known that minimum take off speed is 100kph IAS no matter what are the current atmospheric pressure and temperature, the stated speed will still the same. When the actual density is lower than base density the take off rolling speed increase, so temperature rise or altitude lead to a compulsory faster take off run. 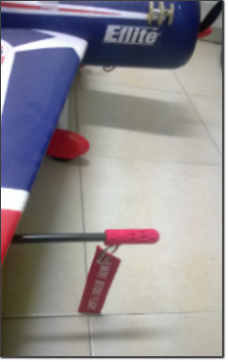 In the example the static port is located on the pitot itself, in different occasions can be located on the airplane skin, the later arrangement implicates a relevant reading error that must be compensated . Sometimes the static port can be multiple, for redundancy, or annulus type, to mitigate AOA and AOS related errors. Here I will consider some major design issues, finally, there will be a complete numeric example for and already built and tested probe. Pitot real behavior is close to the ideal case, however, to attain good accuracy is necessary to correct the real equation with a term that accounts for nonideal contributions. 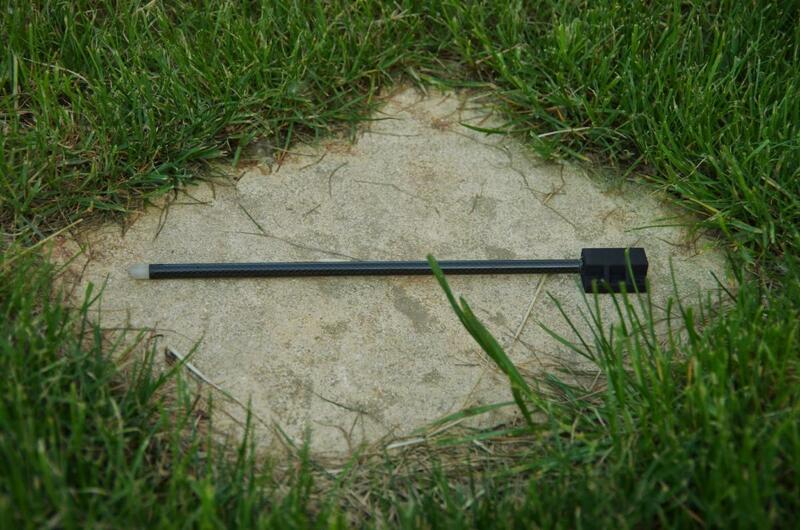 Consequently is the difference term from ideal case, so c can also be referred as the base calibration factor. Generally speaking, c is dependent on installation, Reynolds number, AOA and AOS nevertheless many wind tunnel tests report that for some kind of pitot tubes c can be considered to be a constant at last for a well-defined speed range. In line of principle c must be changed every time the speed change, in practice, it’s changed only when the probe is measuring very low speeds. Let’s neglect the installation error. In Eq. P.5. and following [Pag 5-6] c is decomposed in many terms where the most important, in magnitude, is K.
K is, therefore, dependent on the mechanical realization of the probe and the simplest method for determination of K is a wind tunnel test session. Moreover, if we are happy with a lower degree of accuracy we can also use K value from bibliography and effectuate a single point calibration (many commercial laboratories do this kind of calibration) to verify that manufacturing was good. Typically most relevant source of error will be, for IAS, the installation error; in the case of TAS the error will have a contribution from installation error and another contribution by the accuracy of density calculation. Ideal probe exhibits a calibration coefficient that is constant over all the flight envelope so we should warrant that with different speeds the pressure tappings are performing the same way. 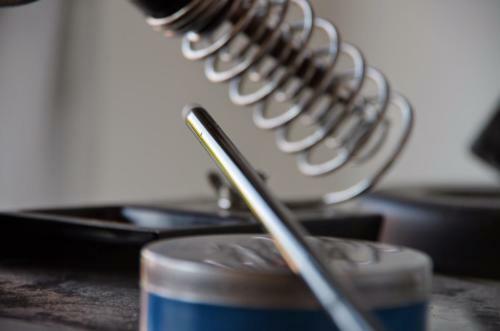 Every pressure tap must have a sharp edge and present no burrs, the static pressure tap/taps must be drilled perpendicular at airflow at 0° AOA and AOS. The presence of round edges, burrs, and other air path modifications will lead to a speed variation of airflow and a consequently local pressure variation; also downstream blockage can lead to the same effect. Even if the pressure ports are fine many static pressure variation can arise from installation position, these pressure variations are not trivial to eliminate and need an initial probe calibration phase. Icing of pressure ports will be neglected as at the typical altitudes, temperature and speed of DIY RC/FPV/UAV the impact should be minimal, no heater installation will be considerate. It is good practice to provide a way to drain entrapped condensate from the pressure lines, it’s mandatory to entrap condensate before that reach pressure sensor, refer to the below figure as a possible arrangement. The proposed arrangement mimic a five ways manifold, that is commonly used in industrial and scientific applications, use of a manifold can be unpractical on standard sized models anyway consider the presented scheme as conceptual to expose typical operation scenery. Since the scheme is conceptual the valves in the real world can be simply replaced by plugs and pressure line interruptions. 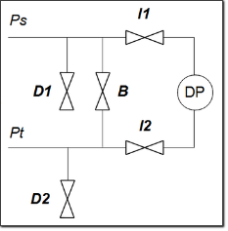 D1 and D2 represent the drain valves, locate this valves at a piezometric head below the ADC, the eventually present condensate will fill the drain lines. To ease the drain circulation consider to maintain never less than 3° of inclination of pressure lines. During pitot operation maybe some port can become clogged, sometimes it’s unavoidable to blow air from the pressure line into the probe, in this situation the priority is to don’t damage ADC sensors. It takes some time for the pressure to propagate from the input ports to the sensors, that’s the transmission lag. Basic knowledge of this phenomenon can help to define some performance limits. As general rule consider to maintain pressure lines as short as you can to limit pressure transmission lag [pag 5] [Fig.19] and maximize dynamic response, if possible keep you pressure lines always side by side so they will be maintained at the same temperature and will have the same length; this last point ensure that the pressure is even along both the lines, no internal differential pressure buildup due to temperature differences. Pressure line material should be able to resist to condensate exposure and ensure that the lines will not deform during operations. Regarding dynamic behavior  [Pag 22] if the lag is extremely reduced the readings may be affected by noise due to the high bandwidth of the transmission line; that are very sensible problems, it’s not sufficient to reduce the lag but it’s also needed some degree of pressure damping. Numeric example, data from the Pitot we will present as example realization ahead in the page. Sensor internal volume , depends on your sensor, probably need to be measured. 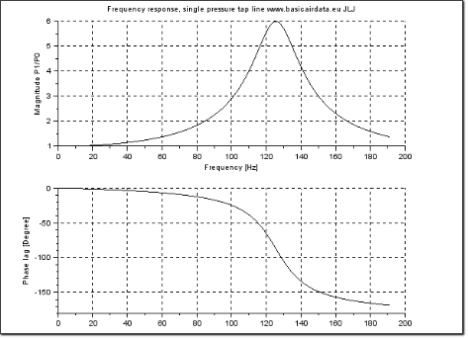 For preliminary evaluation, it can be used the Eq.3 for the asymptotic case [Pag 9] that lead to a resonance frequency value of 133 Hz. You can play around with the parameters downloading this scilab file. From the figure you can observe the resonance peak, the response of the system is unitary up to 15Hz so under this frequency the pressure transfer from the port to the sensor is ideal. Reference  conclusions will clarify many interesting design aspects and since the model is validated with real world data it’s possible to use the transfer function to compensate higher frequency readings. Ability to predict dynamic performance is fundamental when using more complex devices, as rotating probe designs, or in the loop operation of the sensor. When the probe is not perfectly lined with the relative wind it will perform not optimally. If the measure the AOA or AOS is unavailable the only approach is to choice a probe that work well at different angles, anyway in the classical pitot range there are no probes able to cope with 20°off center angles without abruptly changing the coefficient of calibration so the most precise measurements will be at low angles. Have a look at coefficients deviation vs the angle in [Fig. 36]. When information about flight AOA and AOS is available a real-time compensation on the airspeed measurements can be practically usable. Our design will be quite simple. First of all, we need a source for the calibration parameter and off angle probe behavior data. Excluding the use of a wind tunnel and books, there is some others source of information. For example, but not only NACA, NASA, NPL and also from AFNOR 10-112 and other industrial design codes. 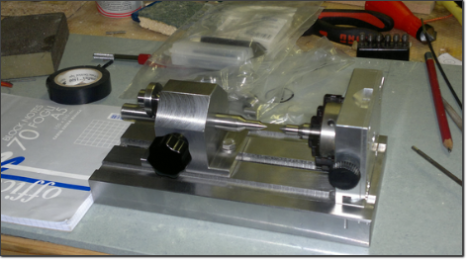 Formally at least one point calibration is needed because almost every published data refer to a single pitot and not to a production batch with well-defined machining tolerances and doing so it’s possible to correct installation position errors. By experience, if is not sought an extreme instruments performance and the probe is mounted in front of the aircraft the coefficients from bibliography can be directly used, accounting simply for an extended uncertainty. This report indicates [16 Par. Last lines] the value of K with an accuracy interval of ±0.002. According to  pag 5-6 the term E of error is neglected as we will operate the probe at a sufficient high Reynolds number, the terms depending on Mach number should be accounted so the formula simplifies to . In many practical cases, this term contribution can be safely neglected as it is of small magnitude. In  [1 appendix figures] you find beautiful laboratory images of the boundary layer for different pitots at different speeds/Reynolds number. 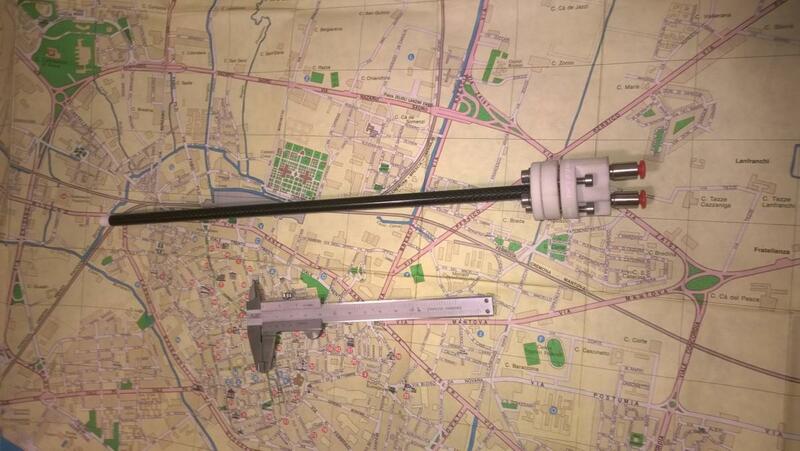 Looking for a simply realizable pitot and with a calibration factor near to 1 HNG[Par. 26.6 ]is chosen. 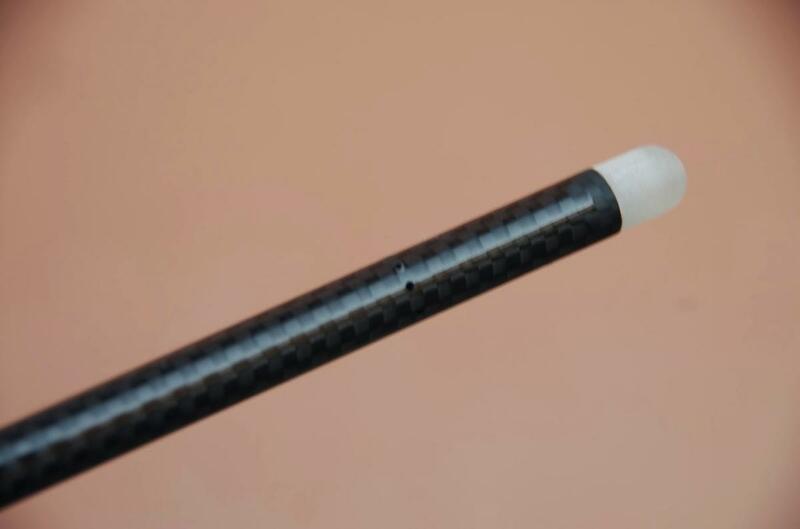 The tip of this pitot is a hemisphere, the external dimension D is 5/16” or 7.94mm, the static pressure ports are located at 4.5D from the tip and consist of one annulus of 8 holes of diameter 1.01 mm, total pressure hole is 1.84 mm [Fig.1]. Measures are weird in mm as they are derived from imperial system, anyway, I rounded the measures to ease the machining phase. 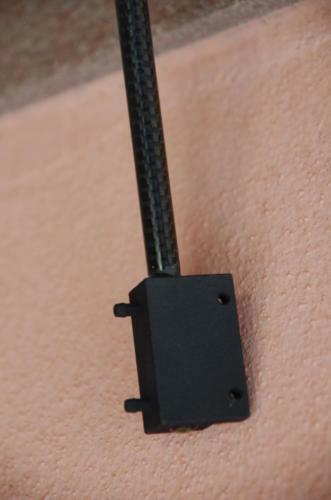 Modification of dimensions can lead to modifying the probe characteristics, eventually, that will be checked/compensated during the calibration phase. 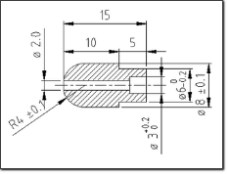 You find the drawing of the head on Figure 4, you can get the complete drawing in PDF or you can download also a scale CAD drawing here. The proposed design was built and tested repeated times, obviously, you can make modifications to fit your application; i.e. find here in Figure 6 and 7 a picture of the pitot tube I realized with the same hemispheric head and aluminum alloy body. 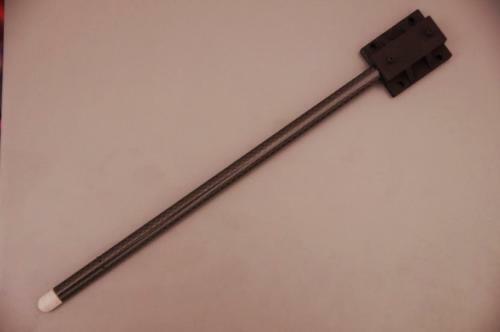 Construction is straightforward, some problem can arise in the machining of the static ports. 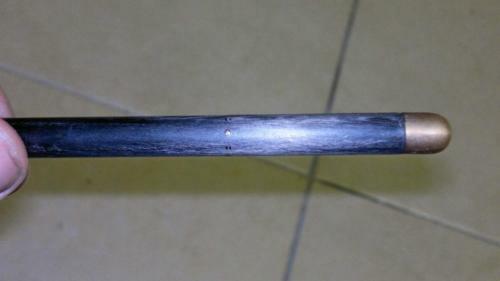 To allow a precise drilling of annulus ports I’ve used a simple DIY machine that you can see here in Figure 8. Now that the probe is built please go to the test section. J. D. Anderson, Fundamentals of aerodynamics, 5. ed. in SI Units. Singapore: McGraw-Hill, 2011.